Twin Towers Burning from Jersey City. Photo by Wally Gobetz, used under Creative Commons license. 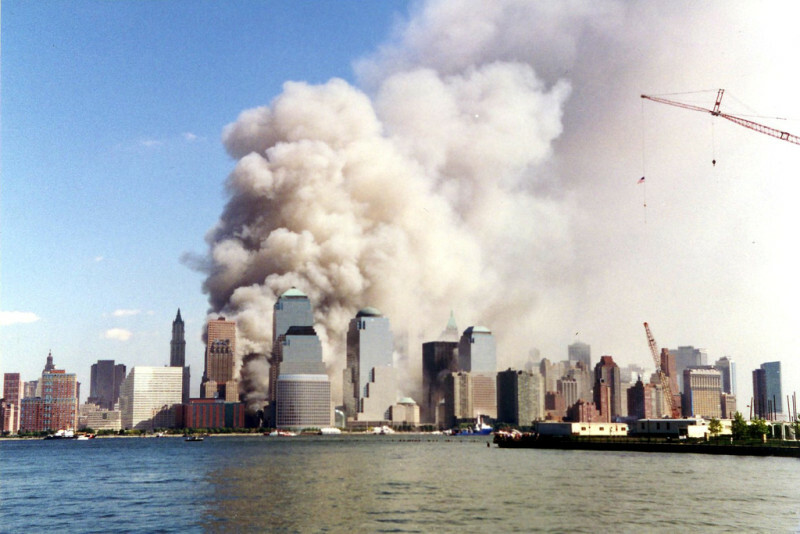 Once again it’s time to remember what happened on September 11, 2001. I recall the incident well, my astonishment and horror at watching the aircraft crash into the buildings. Then the aftermath — the burning buildings, desperate people jumping from so high up that the time to ground seemed interminable, then the ultimate collapse of the structures. A couple of generations ago there was Pearl Harbor. My generation has 9/11. I will not forget, nor will I forgive.